Virgil and Sheila own and operate Dunham Sport Horses, a 101 acre farm located in the Enchanted Mountains of Cattaraugus County in Southwestern New York State. They are a full service show barn. Raising babies is one of the many joys that is enjoyed by everyone at the barn. They stand a wonderful thoroughbred stallion and have several of his offspring, ready to enter the show ring on a limited basis this year. They also sell, train horses, give lessons and do camps all year around. During inclement weather, lessons will be held in their indoor riding arena. Parents are welcome to enjoy the heated class room and coffee while they watch their children's lessons. Summer Camp is a large part of the program at Dunham Sport Horse. Summer is the best time that you can spend learning how to sharpen your riding and jumping skills. Dunham Sport Horses would love to be a part of your equine experience. 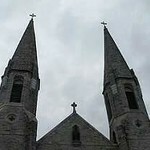 During the 2011 Camp season they will be attending the Southtown Series in the Buffalo, New York area. They will also be attending the Cattaraugus County Fair in Little Valley, New York. If you are with them for the entire summer, they will be attending the Erie County Fair in Hamburg, New York. Summer Camp is also going to go to the Erie Pa. Hunt Club for some horse shows. 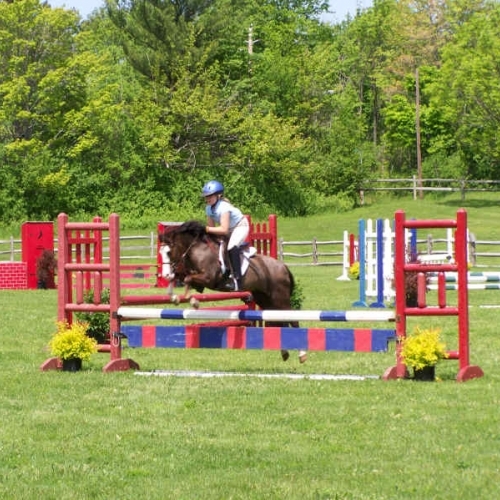 Summer Horse Camp will strive to make you a better rider and jumper.